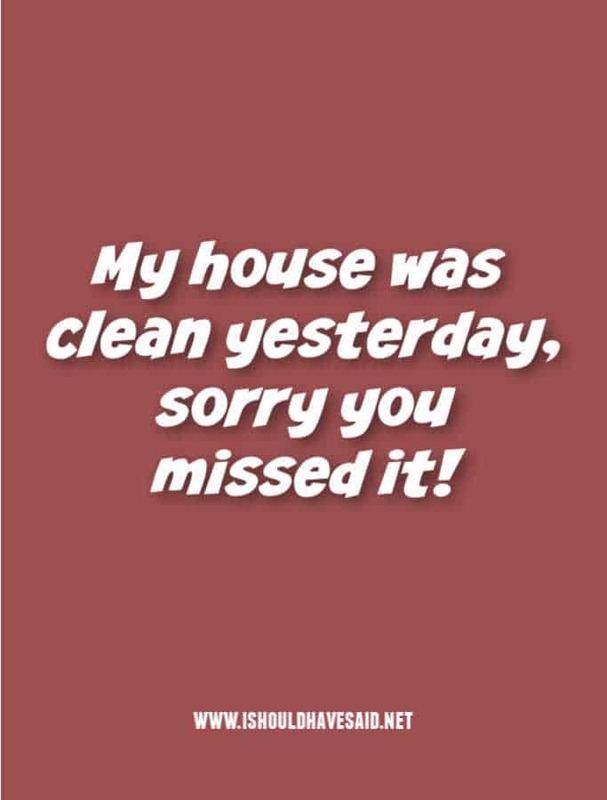 What should you say when someone you live with complains, “This house is a mess!” When you are constantly picking up after a family, it can be pretty frustrating. Anyone who has a toddler knows that cleaning with a toddler around is like raking leaves during a hurricane. When someone complains that your house is a mess it can be embarrassing and exasperating. 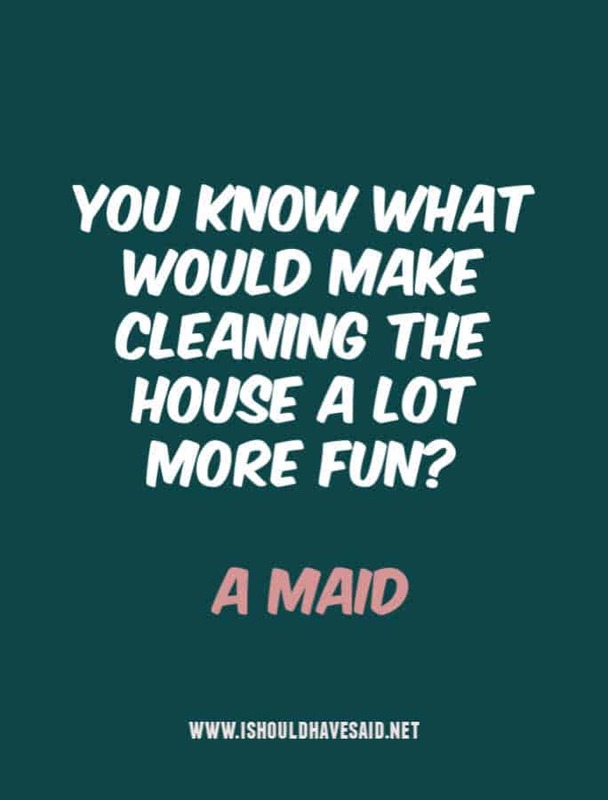 For a lot of people cleaning the house isn’t exactly their idea of a good time. Anyone who has a toddler knows that cleaning with a toddler around is like raking leaves during a hurricane. When you have small kids at home you have to live with a certain amount of mess, chaos and large plastic objects. If people complain, yet they aren’t willing to pitch in around the house, try a few of these zingers. Every time I get the urge to clean I watch hoarders and decide that my house isn't that messy after all! I understand that dull women have immaculate homes. But I come from a long, long line of fascinating women. Both of us can't look good at the same time. It's either me or the house. 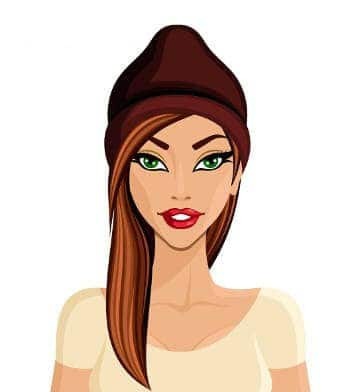 The truth is men who do housework get laid more often! 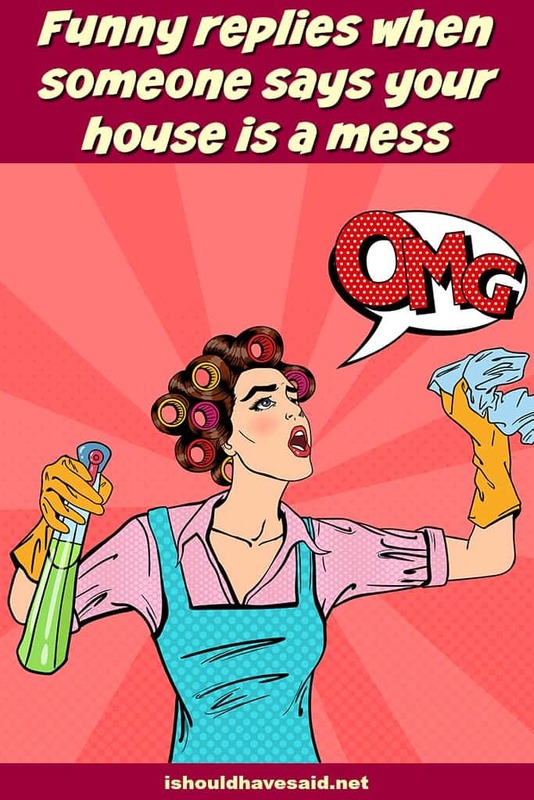 Got any comments, questions or tips when someone says your house is a mess? Share them in the comments below. Tell your husband that my house isn’t messy, it’s custom designed by a three year old.